To determine these songs Country Music Life used a precise scientific formula – we ordered the songs based on what we like. Ok so maybe this list won’t be accurate for everyone, but we would love to hear back from you regarding the songs on this list or songs that have been excluded. Carrie Underwood has been the biggest female vocalist in country music for a few years now. She’s overtaken Shania, Faith, Martina, and others as the top female vocalist right now. With multiple Entertainer of the Year awards to her credit to go along with plenty of top hits Carrie has the growing career that could define her as the greatest female country artist of all time. Carrie’s biggest hit to date is her smash hit from 2006 Before He Cheats. The song is sassy, fun, and catchy as hell. The song was a huge hit in ’06 on multiple charts. The song remains a fan favorite as Carrie continues performing it live as the top hit of her show. It’ll be tough to top this country song for Carrie, but she’s got plenty of time to do it in her young career. Ronnie Milsap covered this song and released it in 1982. 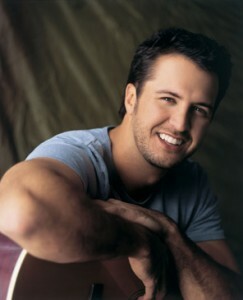 His version went on to become a top hit on the country charts and a multi-week #1 on the AC chart. Milsap had enormous success in the pop-country world in the ’70s and throughout the ’80s. Any Day Now is one of Ronnie’s biggest and best hits. The song is fun to listen to and even fun to sing along with. Ronnie’s career slowed in the ’90s, but he still heads out on the road from time to time playing his huge list of hits for the fans that still love him. Marty Robbins released one of his signature songs in 1959. El Paso became a huge hit on both the country charts and the pop charts during its run. The song is a story about the old West with a man and woman fighting for their lives. It’s the classic kind of cowboy tale and western theme that was so popular during the ’50s and ’60s era. Marty Robbins is one of the greatest country singers of all time and El Paso is one of the top country songs. Dwight Yoakam is a great country artist. He sounds like nobody else and brings a flair to his craft that nobody has ever had. Well known for the tightest jeans in the history of music, Dwight also recorded some great tunes over his run at the top of the country world. One of those songs was A Thousand Miles From Nowhere. The song is an easy grooving song. It’s country yet it’s its own breed of country. Dwight is one of a kind and still releases albums from time to time in between his movie appearances. We go way back to the ’40s for this top country song. Walking The Floor Over You is perhaps Ernest Tubb’s most well known song. That’s impressive for a country act that’s had plenty of hits in his career. The song is known as the first honky tonk song. Not a bad recognition to invent an entire sub-genre. Walking The Floor Over You is still a great jukebox song and can be found available in most honky tonks across the country. It’s hard to say that Blackhawk is an underrated country act, but you almost have to since they’re rarely included in the conversations of the best bands of all time. The trio had some big hits in the ’90s. Plus the songs Blackhawk put out are still popular on radio today. Like There Ain’t No Yesterday hit the #3 spot in during its late ’95 run and became one of the band’s biggest hits. The song remains popular today. The guys in Blackhawk had a unique sound and put out some of the top country songs of all time. We just mentioned the great Walking The Floor Over You. Now it’s time to mention the song that mentions the former. Set ‘Em Up Joe by Vern Gosdin is one of the greatest country drinking songs of all time. Vern told the story of a guy needing a few drinks one night. He heads over to his favorite watering hole for a few beers and tells the bartender Joe to set ’em up and play his favorite song Walking The Floor. A great country song from one of the greatest voices in country history. Wynonna struck out on her own in the early ’90s after her mother took some time away from the country scene to care for herself. Wynonna broke out as as solo star immediately. Possibly her biggest hit of the time was I Saw The Light. The song is a soaring tune with plenty of Wynonna attitude as she sings about a woman finally seeing the light that her lover is cheating on her. It’s a great women song and one of the top country songs as well. A feisty red head broke out on to the country music scene like a shot in 1996 with her debut Heads Carolina, Tails California. Jo Dee Messina found one more top ten hit on her debut album and then rocketed to country superstardom with her second record, but it all started with that first hit. It was everywhere that year. Fans couldn’t get enough and kept requesting it. The song topped out at #2 on the charts and couldn’t quite make it to the top spot. The tune is about throwing things aside and enjoying life. It sure made fans feel that way. A top country hit from Jo Dee. Usually the 4th single off an album isn’t the biggest, but that’s just what happened to Keith Urban with his hit Better Life. The song was released off the album Be Here in 2005 and the single shot straight to the top of the charts. Pop star Richard Marx co-wrote the song with Urban and it became a top country song. Urban’s music has always had great melodies mixed with some feel good lyrics and that is perhaps best represented in Better Life which is all about just that – living a better life. It only peaked at #12 on the charts, but 1994’s Independence Day is one of the top country songs of all time. The tune became a huge hit for small but powerful singer Martina McBride that year and it remains a fan favorite today. The powerful song covers the topic of domestic violence as told from the point of view of a young child caught up in the mess. It’s not a fun topic to cover for a country songs but fans took to it. That’s why it’s a top country song. In 1998, Shania Twain released the song You’re Still The One. For a couple years fans had looked awkwardly at Shania’s personal life especially her marriage to rock producer Mutt Lange. Shania was many years Lange’s junior and the marriage seemed a bit odd to those who looked from afar. Shania wrote the song You’re Still The One for Lange and it became one of her biggest hits. The tune is a true love song and remains a favorite romantic country songs for lovers everywhere. It’s a powerful emotion from a lady in love that seems to forever be a top country song. Even though the marriage didn’t work out in the end there is still hope for many others that love the song. Not many country artists have a number one hit with their first single, but that’s just what Trisha Yearwood did back in 1991. Her debut single She’s In Love With The Boy shot straight to the top and has remained a fan favorite ever since. The catchy tune about a young girl and boy in love despite her Dad’s feelings about everything struck a chord with country fans. There is always something great about a love story where a couple makes it work despite the odds against them. That sentiment along with the great vocals of Yearwood is why this song is a top country song. Deana Carter had quite the debut album in 1996. The title track to the album was Did I Shave My Legs For This. The song is a cry for help for a woman that seems to do everything for her man to no avail as he ignores her and lives his life like a selfish man. There must have been lots of women out there feeling the same way since the song became a huge hit. It only reached the top 30 on the charts, but remains a fan favorite for its light-hearted take on an emotion many are feeling. Who knows, maybe some men start paying attention when the song comes on the radio. 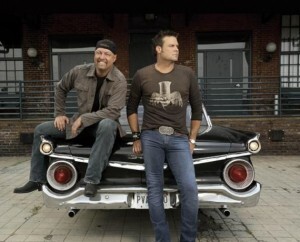 Country duo Montgomery Gentry had a top hit in 2005 with their track Something To Be Proud Of. The tune is about having things to be proud of in live and after a career filled with big hits there is good reason why Montgomery Gentry named their Greatest Hits album after the song. The guys are still busy today releasing new music and touring the country with their rocking show. They’re giving fans good reason to be proud of country music. Eddy and Troy are making some great rocking country music and people are still loving it. George Jones had a career resurgence in the ’80s. During the decade of his 50s the country legend had a number of hits, but in 1985 he released a song that had extra meaning. Who’s Gonna Fill Their Shoes saw George asking the important question to everybody in country music. George listed off his buddies and fellow country legends and wondered if anybody would be able to replace them. There were a few that quickly followed including George Strait, Alan Jackson, Randy Travis and Garth Brooks among others, but people still remember the legends like the Red Headed Stranger named off in Jones’ track. Rhett Akins is well known now for being a successful songwriter in Nashville writing hits for other artists, but back in the ’90s he had a few big hits of his own. One of those hits was the classic That Ain’t My Truck. The song is about a guy that finds a new truck in the driveway of his former lover. He realizes that she’s moved on from him and he’s got no chance to win her back. It’s a sad song, but the catchy melody and the sing along lyrics have kept this song a favorite for fans still today. It’s truly a great country song. Former NFL defensive end Mike Reid is used an example of former football players that have had successful careers after NFL glory. Shortly after his career ended in the ’70s Mike took what once was a hobby and turned it into a full time job. Mike began writing songs and pitching them to country stars. He had a few recorded including a few major hits. In 1990, Reid had his first big hit as an artist with the song Walk On Faith. The guitar lick in the track is infectious and the lyrics are fun and positive. It’s a great song from one of the great success stories in country and NFL history. No band was bigger in the ’00s than Rascal Flatts. Country fans really took to the pop-country act as they rolled out hit after hit for a decade. The guys are still going strong into their second decade. Probably their biggest hit to this point in their career was the crossover smash What Hurts The Most. The song was emotional, powerful, and certainly made an impact on the music scene. This song marked a career high for Rascal Flatts as they sold more albums and downloads than just about anyone else in country at the time. The song was a country hit in 2006 but it also became a huge pop and AC hit as well. Rascal Flatts is still going strong today and will likely continue finding success, but it will be difficult to surpass the success of What Hurts The Most. This is one of my all time favorite songs so it probably gets a little unfair treatment in that regard, but it’s a catchy tune that infectious. 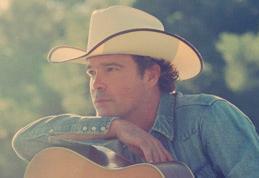 It was Clay Walker’s first single from way back in 1993 and it went on to reach the #1 spot on the charts. What’s It To You is still played on regular and classic country radio today. Clay is one of the great Latin-sounding country stars that really are talented and driven to succeed. He’s a great artist and his career got off to a great start with this top country song. Joe Diffie had a great run of hits during the ’90s boom in country music. Joe typically isn’t given enough credit for the great songs he recorded during his successful run. He’s not at the top of most people’s lists for best artists, but people sure remember his songs when they come on the radio. One of those tunes is John Deere Green. The ultra-catchy and country classic fun to listen to and you can’t stop singing along when you hear it. Put a little redneck twist on a classic love story and you have John Deere Green as sung by the great Joe Diffie. The first country single country fans will associate Carrie Underwood with will be Jesus Take The Wheel. The song served as a big reminder to country fans that Carrie was a legit country artist and not just a contest winner. The song’s powerful story connected with millions of country fans and turned Carrie into a huge star over night even after she had become a star in front of a worldwide audience on American Idol. The song is about letting your higher power take control of some of your life and how that can lead to better decisions and an overall meaningful life. A huge country hit for possibly the greatest female country artist of all time. The trio Blackhawk was like no other act in the ’90s. The vocals were unique. The music was unique. The songs were amazing. Every Once And A While is one of those songs that has both melody and a great story. The song is about a woman still thinking about the relationship she had with a guy as told from the point of view of the guy. It’s a great way to sing about a common situation. The song became a huge hit and remains a favorite on radio today…every once and a while. Sometimes it takes a little extra effort for a great country song to reach its full potential. Way back in 1985 Randy Travis released the single On The Other Hand. The song stalled and was barely noticed. Travis next released the track 1982, which made it into the top ten on the charts. After finding success Travis and his label re-released On The Other Hand and it would go on to become one of the biggest hits of Travis’ career. The song about cheating and seeing the ring and commitment on your finger remains one of the top country songs of all time. Even the legendary Randy Travis needed a little extra effort to get noticed by country fans. With their unmatched harmonies and a little easy listening pop flavored country, Restless Heart had one of the biggest careers of any country act in the ’80s and ’90s. In 1988, the guys took the song The Bluest Eyes In Texas to the top spot on the country singles charts. The song has a pure ’80s feel to it and that’s what makes it so great. The story of a guy longing for the love of a women he can’t have resonated with many country fans. The narrator couldn’t get the woman’s blue eyes out of his mind. It’s a creative lyrical hook and a big reason the song is a top country song. The guys in Little Texas released their aptly titled Big Time album in 1993 to much fanfare as the singles from the record made some big time waves on the country charts. The band’s biggest and only #1 hit was on the album. My Love is a classic love song about a guy wooing the woman of his dreams with all he has to give. The song was a mix between country love and the ’80s rock ballad. The combination worked and it became one of the top country songs of the ’90s. Vince Gill is a great singer, great guitar player, great songwriter, and he seems like a good guy to hang out with. It’s almost not fair that one person is so talented in so many different ways. One of Vince’s biggest hits was the soaring ballad I Still Believe In You. The song is about a guy pleading to his woman that their relationship can still work. The emotion of lovers on their last legs and being in love bleeds from the notes as Vince sings like an angel on the track. There is perhaps no other artist that could put the emotion behind this song as good as Vince. It’s truly a top country song. For some, a top country song needs emotion, passion, great vocals, and country instruments in the background. All those ingredients come together in Patty Loveless’ hit You Don’t Even Know Who I Am. The song is pure emotion. When Patty hits the notes in the chorus it sends chills throughout your body. The story of a woman leaving her man because he doesn’t pay attention to her is an all too common feeling for many and this song gives those an outlet for the emotion. The guy in the song even agrees with his woman. Perhaps things just aren’t meant to work out sometimes. That doesn’t make it any less painful. That’s the kind of emotion that makes for a great country song. That and the fact that nobody can sing a country tune quite like Patty. Dolly Parton is a great storyteller. She can also sing, perform, and do many other things but I think at her best she’s simply one of the best storytellers of all time. A classic Dolly song is her hit Coat Of Many Colors. The song is the story of Dolly growing up in the Smokey Mountains with very little money in the family. To get by her mom made her a coat with patches from various old garments. The coat became Dolly’s coat of many colors and that image stuck with Dolly long enough for her to put the story into a song. Fans still love the way Dolly can tell a story and Coat Of Many Colors will always be a favorite. Dwight Yoakam brought some California cool to country back in the ’80s. Dwight had a way with putting twangy guitars with twangy lyrics and forming a kind of country that was all his own. Dwight’s second hit single – his first hit as a writer -was Guitars, Cadillacs. The song reached the top five on the country charts in 1986 and Dwight went on to have a run of successful hits for a few years. Sometimes things don’t quite go as we plan and sometimes the pie don’t taste so sweet as Dwight would say. But those situations can sure make for a great country song. Kathy Mattea had some great country songs back in the ’80s and ’90s. One of those songs – Eighteen Wheels And a Dozen Roses – remains a favorite on country radio. The song originally came out before I was old enough to listen to country music but I was lucky to hear it often on classic stations and current hit country stations. The song is about a truck driver heading home to see his family. He’s making his way with 18 roses for the one he loves. My favorite part of this song is the melody. It’s a rolling song that builds and builds through the chorus until the trucker makes his way home. It’s a great song and certainly belongs on any list of country’s top hits. The name Doug Supernaw doesn’t come up often in country music success conversations. Doug has always had his run ins with crazy occurrences as well as getting into some trouble with the law. Despite all of the excess stuff, Doug was able to put out some great country music for the few short years he was a country artist. I Don’t Call Him Daddy came out in the early ’90s and it became Doug’s first #1 hit on the charts. The song is about divorce and the effect it has on kids and parents. The kids are often left to figure out some answers to difficult questions especially when their folks start dating new people. The song has a lot of heart and Doug’s personal situation sure gave him reason to put all his emotion and passion behind the song. It’s truly a great country tune. It’s quite a feat for a 25 year old song to sell over a million ringtones, but that’s just what happened to Waylon Jennings’ theme to the Dukes of Hazzard. The two minute track has become one of the greatest country tunes of all time. The melody is great and Waylon’s deep baritone provides great narration to the story of the good ‘ol boys. As is evidence by the strong demand, the song is still a big hit with country fans today. The Gambler by Kenny Rogers is a well recognized song in music circles beyond country. Kenny Rogers was the biggest country star of his generation along with being one of the biggest pop stars as well. Nobody was selling more records than Kenny in the late ’70s and early ’80s. The Gambler is Kenny’s signature song that most people know and if they don’t know the entire song they likely know the lyrics Know when to hold ’em/Know when to fold ’em. The song is truly one of country’s top hits. Country group Diamond Rio has had tons of hits throughout their great career. In the fall of 2000 the guys released the enormous single One More Day. The song has a loose meaning about wanting to spend more time with the one you love most. Because the song wasn’t about anything specific it took on different meanings for every listener. Some listeners even used the song to mourn the loss of Nascar great Dale Earnhardt Sr. after his fatal crash in early 2001. It’s songs like One More Day that help people get through emotional times in their lives. That is what makes this song a top country hit. 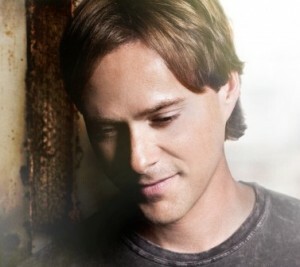 Bryan White was only 20 years old when he broke out as a star in country music. His first album was released in 1994, but it took three singles for Bryan to find big success on the charts. The final single from his debut album came out in 1995 and it became a big number one for the talented singer and musician. Rebecca Lynn is one of those songs that tells the story of a young love between two kids. It’s a great story of how love can have a pull on all of us no matter how old we are. Stories like Rebecca Lynn are the reason most of us live – to find the love of our lives. Turn on Alabama’s I’m In A Hurry and you’ll see everybody in the room light up and probably start tapping their knees and singing along. I’m not joking. This song has the power to cast a spell over people and get everybody singing along. It’s crazy. The guys in Alabama had been going strong for a decade when they released this tune in the early ’90s. The song remains a staple on modern day country stations as well as classic stations. Even at 20 years old this song sounds modern. When Randy Owen starts singing alone with no music behind him it’s something powerful. I love songs that start out with the chorus and this one is truly a great country tune. Doug Stone is another curious case of what went wrong after reaching stardom. Doug Stone and Doug Supernaw (The Dougs as I call them) had some trouble with personal demons after reaching the top of the country world. Stone was able to rack up a handful of number one hits and even more top ten hits on the charts before falling into some pits of alcohol and legal issues. Why Didn’t I Think Of That was a high point for Doug. It reached the top spot after being released in 1993. The song is actually about a sad situation where a guy realizes his woman left him for another guy that does all the things he didn’t think of when he was with her. The song comes off as almost positive though as the melody stays catchy. It’s a favorite song of mine and I’m not really sure why. Something about that melody always makes me want to turn it up when I hear it on the radio. Sometimes it’s the simple country love songs that make the best tunes. During their run of hits in the late ’80s and early ’90s band Shenandoah had one of those songs that makes you smile. Next To You, Next To Me is about the great feeling of being with the one you love no matter what the setting. Any day is a good day when you have the one you love right there with you. Throw in a little barbecue in some aluminum foil and it makes for a perfect day living the country music life. Willie Nelson has been kicking around country music for as long as anybody. He’s still relevant today as artists continue asking him for duets. Willie still puts out great country music on his own as well. Back in 2003 Willie teamed with Toby Keith for Toby’s song Beer For My Horses. 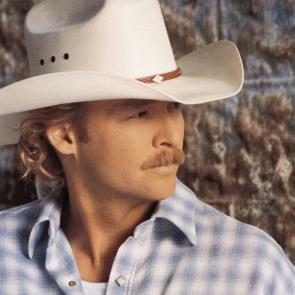 The track became a multi-week #1 smash hit and would have been the biggest hit of the year were it not for another duet It’s Five O’Clock Somewhere by Alan Jackson and Jimmy Buffett. Beer For My Horses is about a bringing justice to the world in an old west fashion. The attitude and brashness of the song made it appealing and fans still request the song today. In 1996, a young girl came to fame as the singer of a throwback song titled Blue. LeAnn Rimes was instantly compared to Patsy Cline for her amazing vocal ability especially at such a young age. While the background of the actual song was a bit fabricated, there was no doubt the song was amazing. Blue is about a girl singing the blues over a guy that has left her and doesn’t have the same lonely feeling. It’s amazing to hear a kid sing the song so passionately. A truly top country hit. Jo Dee Messina had a quick start to her career in 1996, but follow up singles after her debut Heads Carolina, Tails California stalled and everything was riding on her sophomore album. Messina was up to the challenge as her second set charted numerous hits include multiple number ones. One of those top hits was the Phil Vassar-written I’m Alright. The song captures the pure essence of optimism and happiness despite things not going perfectly. The up tempo tune is great for those sunny days in the car just enjoying the ride. Country duo Montgomery Gentry released the track My Town in 2002 and it became another top five hit for the energetic country stars. The song recalls the lasting memories of water towers, rusty tractors, and old mills from the everyday Hometown, America. Every person has a place they call home and the towns we come from feel like they belong to us. The memories we make in those towns stay with us forever and that’s why we feel like our hometown are really our towns. Joe Diffie racked up some big hits during the ’90s. Perhaps his signature tune is the classic double-meaning Pickup Man. The song is an ode to the ladies and guys that love a good country pickup. The fun story in the song goes that the narrator has been picking up women with help from his trusty pickup since he was knee high to a grasshopper. It’s a fun story that will certainly make you smile and probably feel good if you’re riding in your own pickup when you hear it. With so many great Patsy Cline songs to choose from I had to include my personal favorite on the list of top country songs. She’s Got You is a sad song about a woman who has all the remembrances of her former love – pictures, records, and class ring. The only thing she doesn’t have is her love. The other woman has him now and that’s all that really matters. Patsy’s vocals on the track make it absolutely beautiful despite the sad nature of the song. It’s one of my favorites and a classic country hit. 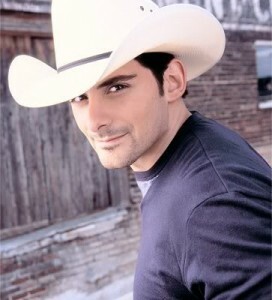 Brad Paisley had a run of about ten top hits in the late ’00s. It’s an amazing string of hits for any artist. Paisley had a big hit way back in ’04 that came just before the string of top hits started. Mud On The Tires was the title track from Paisley’s 3rd album. The song reached number one (Alcohol came next and reached #4 before the run of hits) and became a favorite among country fans. The song is as country as it gets. The guitar twangs as Paisley sings about enjoying life off road with the girl he loves most. It was making us all want to get a little mud on the tires this weekend. John Denver doesn’t often come up in discussion of the greatest country artists of all time, but the singer-songwriter had quite the career. 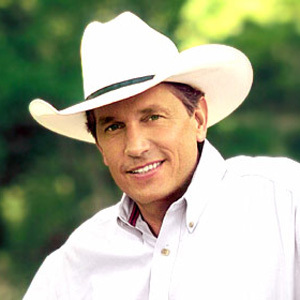 Perhaps his biggest country hit was Thank God I’m A Country Boy. The song is insanely catchy and fun to listen to. Any song that rhymes griddle with fiddle is alright by me and the song remains popular among fans of all musical genres. Comedian Pauly Shore even gave a tip of the hat to Denver in the oft-criticized, but funny movie Son-in-Law. 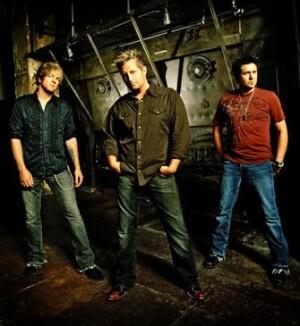 Rascal Flatts came out swinging on their debut album as all four singles released became hits. It wasn’t until their sophomore album that the guys started creeping more toward superstardom rather than just another country-pop band. These Days kicked off the guys’ second album and it became a huge hit. The song is about a guy running into an old love and chatting about how things are going today. At its purest form the song is about change – good and bad. It’s a great tune and the vocals and music on the track are reason enough to know why Rascal Flatts became the biggest country band in the ’00s. Charlie Rich quickly rose to superstardom in 1973 with his classic country hit Behind Closed Doors. While hardly an overnight success Rich was able to turn a song about his perfect woman into a national sensation. The song is about a woman that is a complete lady in public while being everything a man wants behind closed doors. The song is a bit racy, but lets the mind drift a bit. Rich’s emotional vocals and passionate performance gave the song a chance to shine. Behind Closed Doors remains a country classic seeing plenty of play on radio even today. George Jones is often regarded as the best country artist of all time. So it’s no surprise he has some big hits on this countdown. The Grand Tour is one of those classic country songs that helped define the genre. The narrator’s is inviting folks in to see his house. He’s trying to sell it and everything inside in an effort to rid himself of the memory of a woman he lost. The sorrow can be felt in George’s voice. The thought of a woman leaving with the child would make anyone feel down. And that’s a big part of country music. Now famous for the title of the biopic movie, I Walk The Line was one of Johnny Cash’s biggest hits. Way back in 1956 is when the track was released as a single and it would go on to become his first #1 hit. The song has the classic Johnny freight train rhythm along with Johnny’s well known deep voice. The lyrics speak of a woman and a man as they walk the line for each other. It’s a great track and still sounds relevant even today. Sammy Kershaw got off to a quick start once he got going in country music. He had his first hit in 1990 and kept things going for most of the decade. One of his biggest hits during his run was the tongue-in-cheek song Queen Of My Double Wide Trailer. The song is pure fun and despite it’s humor may be one of the most well-written country songs of all time. Penned by the great Dennis Linde, this song turns original phrases into a great story that everybody can recognize and smile at. The true art of writing lyrics comes from being able to avoid cliche while remaining recognizable. This is one of the songs that success 100%. Is this song too high on the list? Probably for most people, but for some reason I love hearing this song. Each time I’m listening to classic radio and Houston by Larry Gatlin and The Gatlin Brothers comes on I start smiling and singing along. The track was originally intended to be a slow ballad, but Larry’s brother convinced him they needed a hit since their career was starting to fade. Larry put some uptempo grooves on the track and the rest is history. Mel Tillis one of country’s greatest singers and songwriters. Send Me Down To Tucson is one of Mel’s biggest and well-known hits. The song has Mel singing about a conflicted husband. He has his life back home, but in Tucson is a lady that would be to able to satisfy the love inside him like his wife doesn’t seem to be doing. The song is well-written and beautifully sung by Tillis. It’s a great country track about one of country music’s standard topics. Luke Bryan came into his own on his second record. The 2nd single from the set was Rain Is A Good Thing. Luke turns the common understanding that rain is a damper on its head and gives everybody a reason to celebrate when the skies open up. The song is stuck in your head catchy and has some clever lyrics that make for a great country tune. Drinking whiskey and getting frisky while it’s raining outside will forever be a part of country music thanks to the Georgian artist. 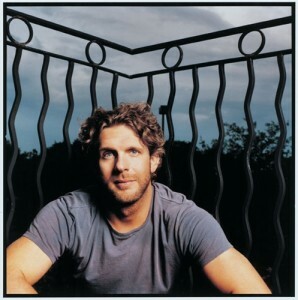 Billy Currington went on a roll of hits after taking some time off between his 2nd and 3rd albums. The 2nd single from his album Little Bit Of Everything was the People Are Crazy. The song is a classic story song that sees the young narrator befriending an old man. The two discuss life and all it has to offer. Later in the story the narrator finds out the old man has passed and left him his fortune. It’s a fun song with a bit of wit and smarts. It’s got a great vibe and fans fell in love with it. George Jones wasn’t slowing down much as the late ’90s came along. In 1999, he released the track Choices to much critical and commercial success. The song is about looking back on the choices that define your life. We can’t change anything in the past. We can only look forward and do our best to make the most of what we have left. It’s truly a great song, but perhaps will always be most remembered for Alan Jackson’s performance at the 1999 CMAs. It was a tip of the hat to his hero that had been snubbed by the CMA that had only asked him to perform a shortened version of the tune. It took Pam Tillis some time to find her niche in country music but in the early ’90s she hit her stride and put together a long run of successful hits on the charts. Perhaps Pam’s most well known and frequently played song is Maybe It Was Memphis. The song is powerful, emotional, and Pam really sings her heart out on the song. A love one night in Memphis is the inspiration for the song and it’s told wonderfully by the talented offspring of legend Mel Tillis. The title track to the Dixie Chicks first big label release Wide Open Spaces became a huge hit for the talented trio in late 1998. The song is about a young girl leaving home to take on life as an adult. Her dad reminds her to check the oil before she gets in the car to drive away. The song became a special tune for women everywhere. Even men could appreciate the song since the story is universal. The melody of the song is the perfect mix of melancholy and happiness. It’s truly one of the greatest country songs ever. Clint Black said he wrote the song State Of Mind about ten or so years prior to its release as a single in late 1993. The song has always been one of my personal favorites. I love the way Clint describes loneliness and despair along with one of the catchiest melodies every. The chorus builds up and seems to have a proper ending as Clint says a song can complete change your state of mind. I think it’s a great tip of the hat to all the top country songs out there. It’s the great songs that can truly change your state of mind no matter how you’re feeling. In the early ’90s there was a big explosion in popularity of country music. Country became the biggest genre in the US and businessmen were taking notice. Everybody and their brother wanted to become a country singer for the possible fame and fortune. In 1994, Alan Jackson cut a song and released it as a single that discussed the phenomenon. Gone Country became a #1 hit on the charts for its infectious melody and tongue-in-cheek story. There was no one better suited to sing the song than country’s new traditional singer AJ. Born Country was an 1992 hit single for the legendary band Alabama. The song is an ode to those who were truly born into the country way of life. America is well known for the folks that were raised making a living off the land and taking what is around you and making life better. Alabama has been one of America’s biggest and best bands for decades. There is nothing better than singing along to a great song about America as sung by the great band Alabama. Way back in 1993, Clay Walker was a star on the rise. Clay’s first single went all the way to #1 on the charts and fans were loving the young talented singer. To follow up his debut Clay released the self-penned song Live Until I Die. The song became another top hit for Clay. The tune is about throwing all the worry in life to the side and simply enjoying every day you have until you finally pass on. Is there really any better secret to life than simply enjoying the good friends and family you have for as long as you can? Live Until I Die is one of my personal favorite songs and it remains a favorite on country radio today. It’s known that if you can get a song stuck in a kid’s head that you definitely have a big hit on your hands. Randy Travis did just that – if likely unintentionally – back in 1986 with the number one hit Diggin’ Up Bones. Randy’s deep voice complemented the story of the song perfectly as the narrator sits by himself going through the old memories and ‘bones’ that made up his life with a woman that has left. The music and the sound of the song are really what make this a great country tune. The melody is catchy and fun despite the sad lyrics. It’s a great country song that remains popular today – even with the kiddos. After years of struggling as solo artists Kix Brooks and Ronnie Dunn teamed up at the suggestion of a Nashville labelhead to form the legendary duo Brooks & Dunn. The duo’s first song announced the entrance of legends. Brand New Man was a new sound in country music. It was in your face, loud, and fun. The song is about a guy that realizes he’s a brand new man as a result of a woman. It’s a great song with powerful vocals from Ronnie and a powerful sound that helped define country music in the ’90s. The guys would go on to have one of the most successful runs in music history, but all goes back to that first song in 1991 Brand New Man. I don’t know if most would put Watermelon Crawl or Tracy Byrd up on the board this high, but the song is good and it’s been a radio staple since it came out way back in 1994. Tracy Byrd almost quietly had a solid career as a country artist. The soft spoken guy from Texas had some solid hits including Watermelon Crawl, which hit #4 on the charts and had people dancing in honky tonks all over. The song is about having a good time out in the country but doing a little dance instead of driving home from the festivals. It’s a fun song that is catchy and unique. A solid country song that certainly should be recognized as one of the top. 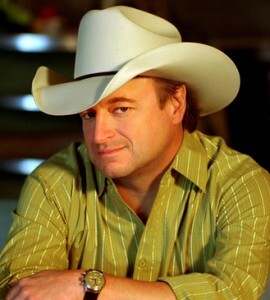 Tracy Byrd’s buddy from Texas Mark Chesnutt broke out first in 1990 with a traditional sounding track. Too Cold At Home was actually turned down by George Jones (he later recorded it), which worked out well for Chesnutt. The song reached #3 on the charts and helped establish Chesnutt as a star. Too Cold At Home is about a guy that needs to get away from his cold situation at home, but he can’t seem to find anything to keep his mind occupied from the tough situation. It’s a common situation for many country fans. Sometimes there just isn’t anything to keep your mind from thinking about tough things. Written by Willie Nelson, Crazy would go on to become one of the most played and well known country songs of all time. 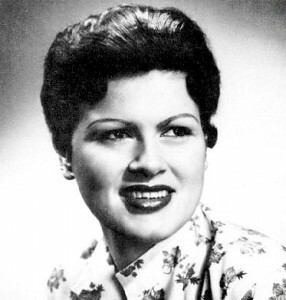 Patsy Cline turned the Willie tune into absolute country gold. Crazy can be used as a great definition for country music. The song is about how love can make you feel. It’s quite simple in lyric, but the music, the vocal treatment, and the classic sound make for a great record. Most people – even if not country fans – have heard this song before and likely know the lyrics. That makes for a top song. Friends In Low Places is one of the obvious picks for top country songs. Most might put this song much higher on the list, but everybody’s favorite karaoke song moved down a bit on this one. Garth Brooks was the best on this song. He put all the emotion and passion behind the lyrics. Everybody can feel the “I told you so” in the song as he tells his former woman that he’s doing just fine even though she’s moved on. The song popular on radio today, but moved down a bit on this list based on the strength of others. Dolly Parton is a country gem. She wrote I Will Always Love You about her business relationship with Porter Wagoner. The song became a big hit more than once on the country charts for Dolly. She decided not to let Elvis record the song since he always requested more than typically royalties from songwriters. Whitney Houston later turned the song into one of the biggest pop songs of all time, but it’s Dolly’s original version that will always be a country standard. In 1982 Willie Nelson had one of his biggest hits. The number one single was Always On My Mind. Willie’s version of the song became a country standard soon after its release. The track is about a breakup that sees the narrator expressing that no matter how things went down his lover will always be on his mind. It’s a beautiful lyric and one that Willie was able to add to with his one of a kind vocal treatment. Willie may not be the best singer in history but he was some how able to capture emotion and passion with his singing that endeared him to millions. Toby Keith came out with a bang in 1993. His first single was Should’ve Been A Cowboy and it shot straight to the top of the charts. Toby has struggled since day 1 to get credibility as a country singer and songwriter. He’s been turned down more than once and even after his success he’s been passed off by critics. Should’ve Been A Cowboy is a top country song. The tune is about the love of the old west that was so important to the US and the generations of men that grew up living the American dream that is working hard and making a life for yourself. Toby captured everything that was good and bad about the old west in this song and had everyone wanting to be an old cowboy. I’ve looked at top country songs lists before and I always think Vince Gill is left off too many. Don’t Let Our Love Start Slippin’ Away is one of my favorite songs of all time. It’s catchy, a great story, and a song that still plays well on radio today. Vince is one of country’s all time greats. He can sing, write, and play better than most. This tune is about a relationship that sees the guy begging for his woman to not give up on things. Even when the everything in the situation is not going perfectly there is no reason to let everything go away. It’s a classic feeling captured in a great country song. Tammy Wynette was a great country signer. She had a rough relationship with George Jones, which is well-known, but she’s always well respected as a singer and songwriter. One of her biggest hits was Stand By Your Man. The song is about strong women supporting their men through all the difficult times no matter what. Some women didn’t stand by Tammy, but many did and still look at the song as one of the best of all time. It’s great when people take a stand for what they believe in especially on controversial topics. Tammy is legendary and Stand By Your Man is a top country song. Seven Spanish Angels came out in 1985 and proved to be an instant classic song in general – not just a classic country song. Ray Charles and Willie Nelson teamed up for this powerful ballad about a battle torn guy down with little left to give. The story is great in the song, but the star of the tune is Willie and Ray. They put a legendary treatment on this track. You get goosebumps listening to the passion and the emotion pouring out in every note. It’s a powerful song and one of the best of all time. 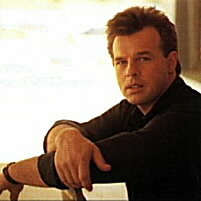 Sammy Kershaw had his biggest hit with the number one She Don’t Know She’s Beautiful in 1993. It was Sammy’s only number one and it remains a popular song today. There is no doubt when you hear Sammy’s voice that he’s purebred for country music. His voice is drenched in sweat and booze and built from country roots. The song is about all the women out there that don’t realize how beautiful they are to us men. It remains a popular song today because women love hearing about how wonderful they are and guys will always love telling them and probably could a little bit more often. It’s a great track that makes you smile and feel good. A classic country tune. For all the guys out there that put their mom’s through hell – Merle Haggard wrote the soundtrack to life with Mama Tried. The song is short, but leaves you thinking by the time it’s over. It’s about a rebel son that does many things wrong in his young life, but looks back and thinks about how his mom tried to steer him right. Lots of people out there can relate to making bad choices at the worst possible times. It wasn’t the fault of anybody but the ones making the decisions. A great sentiment by one of the legends in country music. This is a guy song. Johnny Cash sang songs for guys and back in 1969 he released the cut A Boy Named Sue. The song is the story of a guy that grew up with the name Sue. The story climaxes when Sue runs into his old man at a tavern one night and they have at it over the name the father gave his son. The father finally tells the boy he named him Sue to allow him to grow up tough, having to defend himself. It’s a song that makes you laugh. It’s also a song that is unique. There is nothing quite like this track and that’s what makes it special. Johnny Cash is a country music legend and A Boy Named Sue is one of his top country hits. George Strait ventured into the land of movies in 1992 and his venture proved successful. Pure Country and its soundtrack became huge hits with fans. The soundtrack featured multiple hits include the rousing Heartland. The song fits the description of the movie and soundtrack. George even brought in his son to sing a little on the track and it made things extra special. The song is about America – the good country living life people live all over America. It’s a great tune that made for a great addition to the movie. It’s truly a top country song and still fits on radio even today. If you’ve ever watched the hit talent show American Idol chances are you’ve heard a cover of Martina McBride’s A Broken Wing. Nobody can quite do it like Martina. The song about breaking away from a troublesome relationship had a powerful impact on radio for Martina and became one of her most well known songs. The soaring chorus fits the voice of Martina perfectly and she pours every ounce of energy and emotion into the song. Martina is a one of a kind talent and A Broken Wing is a special, special country song. It’s hard to believe there was a time when people didn’t know who Faith Hill was. Faith’s first single was released way back in 1993 and it shot straight to the top spot on the country charts. Wild One became an anthem for little kids that dreamed about doing great things. The song is about a little girl whose daddy tells her that she can be anything she wants to be. The song is melodic and memorable. It’s a great combination of sound and words. Nearly two decades later the song remains popular on radio and is a staple on playlists for men and women. Even men love hearing Faith sing her heart out. It’s a great song and one that is tops in country music. The Judds debuted in 1983, but it was their second single Mama He’s Crazy that went to number one in 1984 and turned the mother daughter duo into superstars. The song is an interesting story especially considering that a mother and daughter perform it. The song is about a girl finding a boy that is crazy over her. It’s a great feeling to feel the love for someone where you just know they’re the one for you. Even if you don’t see it coming you know it when you have it. The Judds captured that emotion in this song and the rest was history as the duo went on to have a great career over a decade. There are maybe a handful or possibly even ten or fifteen songs just about everybody recognizes. One of those catchy songs that everybody knows is Meet In The Middle by Diamond Rio. The song is ultra-catchy and has a great message in the lyrics. The song is about a couple that has always met in the middle no matter what the situation. The message is to meet in the middle of any situation that might have the potential to break you and the ones you love apart. The song takes a positive approach to compromise and it works to perfection. The song went number one in 1991 and turned the sextet of Diamond Rio into stars. Throw in a guitar lick that is one of the best of all time and you have a song that is truly one of the best of all time. After one album that kind of flopped, Shania Twain came back with one of the biggest albums in country music history. It was 1995 and Shania rocked the country world by recording some catchy tunes and even showing (gasp) her stomach to the world. Her first number one song in the US was the second single from The Woman In Me album. Any Man of Mine rocked the country world as Shania brought some attitude and told everyone that her next man better walk the line and show her a squeezing pleasing kind of time. It’s a great song that was paired with a genre defining video. Shania went on to become one of the biggest country stars of all time and fans everywhere still love listening to the catchy tune. Some people probably wouldn’t put Gunpowder & Lead by Miranda Lambert up this high on the list of top country songs, but I believe the song is that powerful with that much impact on the genre. Miranda released this song not too long ago in 2008. The track was an in your face rocker that smashed men on the side of the face and got everyone’s attention. Normally a song about abusive relationships and retaliation wouldn’t have a chance on country radio, but it was just the song Miranda needed to push her onto radios everywhere. The song became Miranda’s first top ten hit and she has only continued to climb since its release. For one of the most talented artists of our time this was a life changing song. Every woman in America and probably many parts of the world recognize this song. When You Say Nothing At All is the ultimate love song women love to hear. The sentiment was expressed by one of country’s greats Keith Whitley. The song capped off a big 1988 for the country legend as it reached the top spots on the singles charts becoming Keith’s second top hit. The song was later taken to the top three on the charts with Alison Krauss. Other artists have continued recording the song and it always seems to have an impact. We will always remember Whitley’s version for being the big hit. It’s a great song about telling a woman you love her best and she doesn’t even have to say anything to make it happen. It’s a powerful emotion and people still connect with this song even today. I know some may not agree with this song being this high up on the list, but it’s another one of those songs that has the power to get caught in your head while making you smile. Back in 1992, a dimple-faced kid from Kentucky released his first single and it launched a huge career. The song was Life’s A Dance and the singer was John Michael Montgomery. The song is often referred to as a rip off of The Dance from Garth Brooks, but it’s a completely different song even if it has a similar meaning. Life’s A Dance is upbeat, fun, and a shares a message we can all connect with. Life’s truly a dance, you learn as you go. I remember when this song came out. My mom was in love with it from the first time she heard it and had to have the CD. The song was I Hope You Dance and the singer was the great Lee Ann Womack. The single was released in 2000 and became one of the biggest singles of all time even reaching the top 15 on the pop charts. The traditionalist in Lee Ann probably didn’t expect for her music to reach a pop audience, but she brought her breed of country to the masses as everyone took to the sentiment of parents wanting the best for their kids. This is a song that makes moms and dads everywhere tear up. Parents simply want their kids to succeed and live happy lives. That’s what I Hope You Dance is all about and there was no one better to sing the tune than the great Lee Ann Womack. 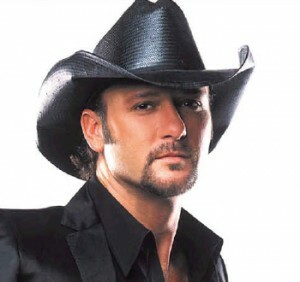 After one album that was a flop, Tim McGraw knew he had to cut some big tracks on his second otherwise he may never have a career in Nashville. After garnering some attention with the single Indian Outlaw Tim established himself as a star with his next single Don’t Take The Girl. The song shot straight to the top of the charts and became one of the biggest hits of the ’90s. The song is about a love and devotion for a girl through difficult situations. The narrator begs and pleads throughout the song that he doesn’t want anything in the world other than his girl. Anyone and everyone can have anything they want as long as he can stick with his girl. It’s a powerful feeling expressed by one of the best and that’s why it’s one of the top country songs of all time. 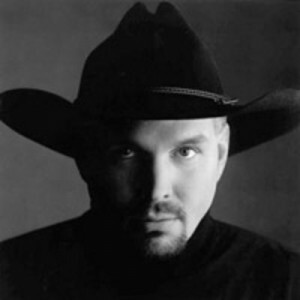 Garth Brooks released some powerful songs in his career. One of the most special to many country fans is the song The River. The song was released in late 1992 and later hit the top spot on the charts. The song is about life and how it compares to the ups and downs of a river. When you compare common things it makes it easier for people to understand. Life is difficult to understand, but when poets like Garth Brooks and other talented songwriters are able to put life in terms we understand it makes living a little more easier through understanding. The song remains powerful while carrying multiple meanings for each person that hears it. It’s a popular song for big moments in life like graduations, weddings, and deaths. It’s a timeless song that will likely be around to define country music forever. This song definitely has the longest title of any on the list. In 1978, Willie Nelson and Waylon Jennings released Mamas Don’t Let Your Babies Grow Up To Be Cowboys. The song was a plea to save the young men from being drawn into the life of a cowboy and a drifter. For some reason there are those of us out there that need to drift and do some things that make others shake their heads. This song was an anthem for those kind of folks while at the same time pleading to the mamas out there to do the best they could to raise up those good men that stick in one place. Nobody could sing a song like Waylon and Willie and that’s why they basically were country music for many years in the ’70s and ’80s. They’re two of a kind and their songs like this one are what make them legends. Alabama defines what country music is like. The members of the band are from the south and they brought their southern upbringing to each of their songs. The song Dixieland Delight is pure country music. The song is about the simple life of being with the love of your life forever. It can be as simple as sharing a Saturday night with the one you love and making a little loving on a Mason Dixon night. The song is catchy. It’s fun. And it one of a kind. This song oozes country especially the southern kind and just about every country fan loves it. I would have put it this high on the list for simply mentioning whitetail bucks munching on clover, but others may put it this high for simply being a song that most enjoy and cherish with special memories. Randy Travis is widely regarded as one of the greatest artists in country music history. His unique voice connected with so many fans and along with George Strait, Randy can take credit for taking country away from a pop sound in the mid to late ’80s and starting a trend of old time traditional country that went on throughout the ’90s. In 1987, Travis released the first single to his huge album Always & Forever. The song was Forever And Ever, Amen. The song is probably the best country love song of all time. It’s a song for kids, adults and everyone in between. As long as old men sit and talk about the weather and as long as old women sit and talk about old men there will be people smiling and hugging their loved ones to this tune. Johnny Cash first released Folsom Prison Blues way back in 1955 as a flip side to one of his debut singles. The song was later re-released in 1968 when it became a number one country song. The song is told from the perspective of a prisoner. It’s a harrowing song that bites at the listeners as the freight train rhythm captures the attention. The thought of being stuck in a prison somehow connected with more than just those that actually have to stay there. Cash had a way of playing the part of something people could connect to and that’s why people loved him. This song was one of his greatest achievements and remains a country classic more than fifty years after being written. Deana Carter came onto the country music scene in late 1996 and rose to fame by following a path nobody recommended. The song that kicked off her career was Strawberry Wine. The track is a slow waltz – the kind of song that makes it tough for an artist to breakout. Usually radio wants something upbeat and snappy from new artists. Deana was even a little leery of the release as she wanted to release one of her own cuts. Everybody in the camp loved Strawberry Wine though and it was released. The choice proved best as the song climbed to the top spot on the charts in the fall of ’96. It’s a story of a young girl finding love for the first time and losing her virginity one summer at her grandparent’s farm. A little bittersweet, but memorable nonetheless just like strawberry wine. The sentiment connected with women everywhere and even men were drawn to the voice, the sound, and the lyrics. It’s one of those rare songs that captures the attention of everybody and that’s why it’s here on the list of top country songs. A crazy occurrence in a tavern one night led to Alan Jackson getting the idea for one of the greatest country songs of all time. Before Alan had hit it big he was playing a small show. He went over to his bass player and leaned up against the old wobbly jukebox. His bass player looked at him and said… The comment took on a double meaning as Alan turned the song into a great country hook that turned out to be kind of his own anthem. Alan was part of the crowd that helped bring good old traditional country back into fashion in the late ’80s and early ’90s. Back then there were a lot of folks that didn’t want to hear a lot of rocking in their jukebox. They wanted to hear the good stuff from the likes of George Jones. There are still many folks that feel that way today and songs like Don’t Rock The Jukebox remain important. It’s hard to pick a George Strait song to be his best and there are arguments for many others that could top this chart, but I had to go with the song I continue hearing the most even today. The song is Check Yes Or No and it remains a top country song many years after its initial release. The song is the cute story of two young kids that pass notes in school and eventually fall in love and spend the rest of their lives together. It’s the ultimate love story that everyone kind of hopes to experience. The song is simply a great story song that country music fans love. It’s a wonderful tune that people keep requesting. Everybody has a story of how they fell in love and this is the song people think of to remind them of the memories they have with their special someone. This song makes people feel good and that’s why it’s a top country song. 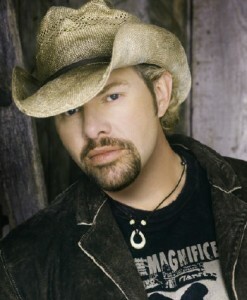 Toby Keith doesn’t get enough credit. Fans love him but he’s burned a few bridges in the country music establishment. As a result he doesn’t get listed as one of the all time greats, but when you’ve been at the top of the country charts for nearly 20 years you deserve to be at the top of a few lists. 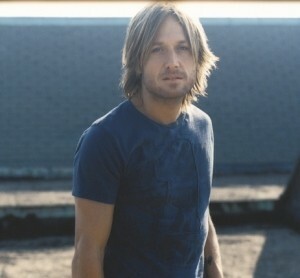 In 2005 Toby released one of his songs that defined life for a generation. As Good As I Once Was captured the feeling many men and women feel when they start to put on a few years. The song is about not being able to do all the things you used to be able to, but just maybe if you put everything you have left into just one last effort you could still get things done once. It’s the ultimate hope feeling that everyone needs to keep living and enjoying life. It’s a totally unique song and nobody could sing it better than Toby. George Jones often tops the list of all time country music greats. His song He Stopped Loving Her Today also often tops the list of the greatest country songs of all time. Here he makes it all the way to #2 on the list. The song came out in 1980 and turned a drowning career around for the country legend. The song is about a lonesome man that finally stopped loving his woman, but only after passing on. It’s a terribly sad song that all country fans seem to know. It’s a great country song in more ways than one. Thanks to the song people are able to cope with love and loss. Also thanks to the song one of the country’s greatest was able to find ongoing success in a career that was on the brink of going down the drain for good. Coming in at number one is the great Keith Whitley. Don’t Close Your Eyes tops the list of the top country songs of all time for a few reasons. The song is a ballad. It’s a slow country song about love that tears at the listener’s heart with the sorrow and melancholy that will make even the casual listener take notice. It’s the ultimate cry in your beer song that country is known for. Keith could sing a country song as well as anyone. He’s often regarded as one of the best soul country singers of all time. He put all his emotion into the songs he recorded and he struck gold with this classic. It became a huge hit and shortly after reaching superstardom Keith succumbed to complications from alcohol poisoning. A tough end to one of the best in history. Thankfully he left country fans with some great songs like Don’t Close Your Eyes.